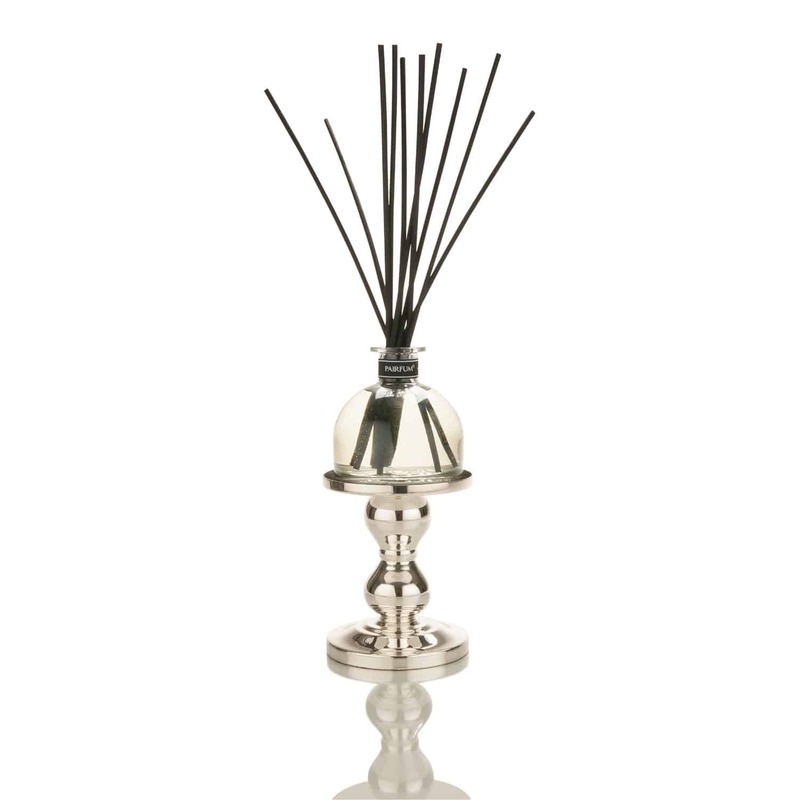 Create a stylish focal point by transforming your PAIRFUM reed diffuser or luxury scented candle into a centrepiece with this pedestal. A rim prevents your diffuser / candle from sliding off. Add a touch of loving elegance to your world within. Create a stylish focal point on your coffee table, sideboard or cabinet with this beautiful and luxurious candle holder. It is suitable for both reed diffusers and luxury perfume candles by PAIRFUM. It transforms the display of your fragrance reed diffuser or scented candle by making them the center of attention. Frequently, perfume diffusers and fragranced candles can be found on windowsills or fire surrounds. With the PAIRFUM silver candle holder they will invariable become an Objet d’Art that you will enjoy displaying ‘center stage’, whether this is a table, sideboard or cabinet. much more robust than a similar item made from glass. Please note, this pedestal / candle holder is sold on its own and does not include either a candle or a reed diffuser. Images showing a candle and/or reed diffuser are merely for illustration purposes and to highlight the various uses of the product.